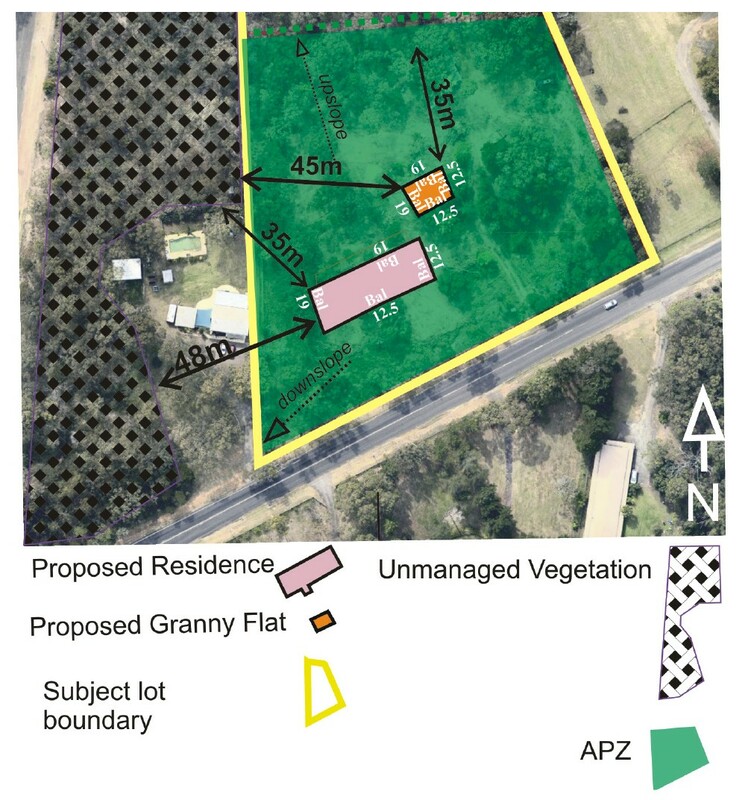 The proposed dwelling and granny flat both required bushfire assessments as the Building Code of Australia identifies both the house and the granny flat as classes of buildings that would require a 79 BA (which is a bushfire assessment that would demonstrate that the proposal complies with the PBP and AS3959 2009. The assessment proposed that the overgrown vegetation on the site was managed as an APZ before the building could be approved and an internal access road and turning circle was provided for emergency services vehicles. The proposed dwelling and granny flat would be built to a construction standard of BAL 12.5 on two elevations and BAL 19 on the others.